Features fully powered lift and drive controls. 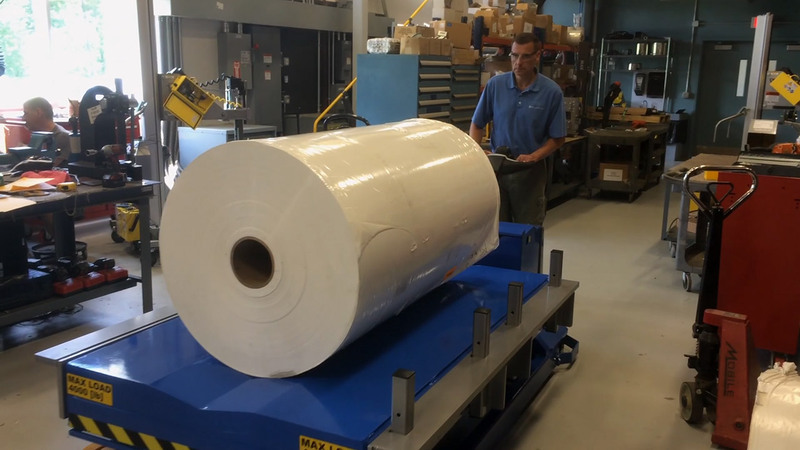 Problem: A large paper mill was removing large paper rolls weighing up to 2,000 pounds with a fork lift. The forklift was not small enough to maneuver in the small area needed to get access to the rolls. The forklift didn’t have a dedicated bed, and could potentially drop large rolls of material if not handled properly. 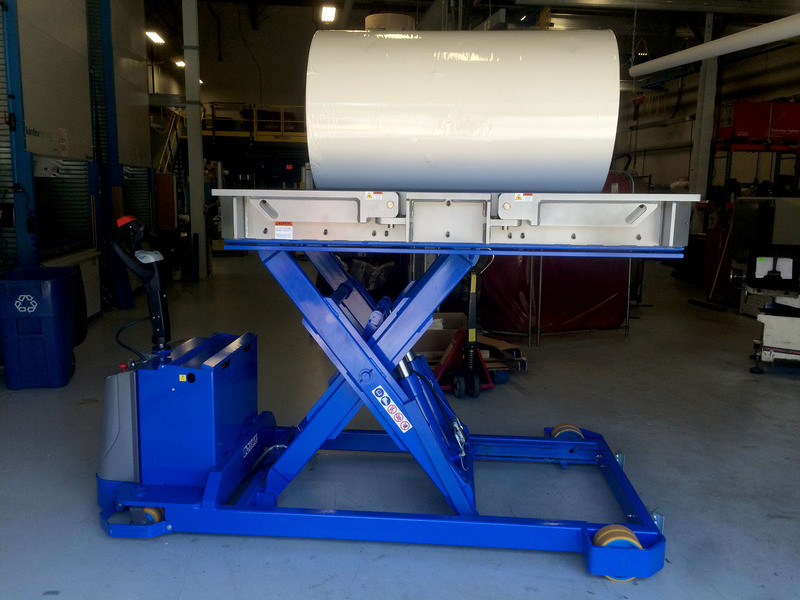 Requirement: Develop a mobile lift table that would cradle the part during transport. 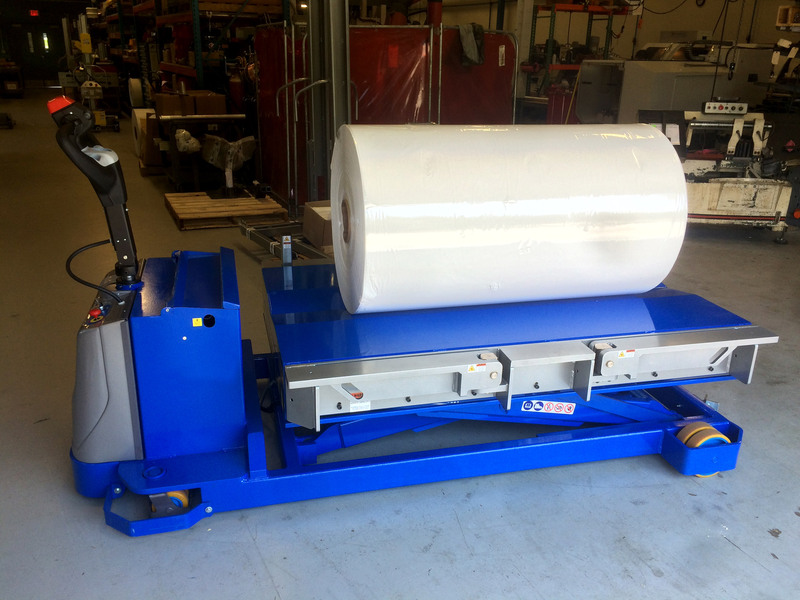 The cart had to be designed to mate up with the winder to allow for safe transfer from their machine to our cart. 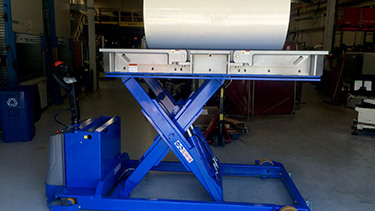 Solution: A battery powered mobile scissor lift table was developed with a V-Cradle to keep the roll from moving during transport. 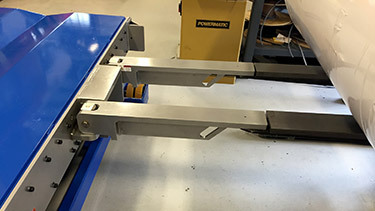 30" retractable arms were installed that were custom machined to mate up with the customers winding machine. The table had custom post mounted on the back side of the unit to act as a backstop for the rolls. Result: Operators were able to unload the paper rolls safely. 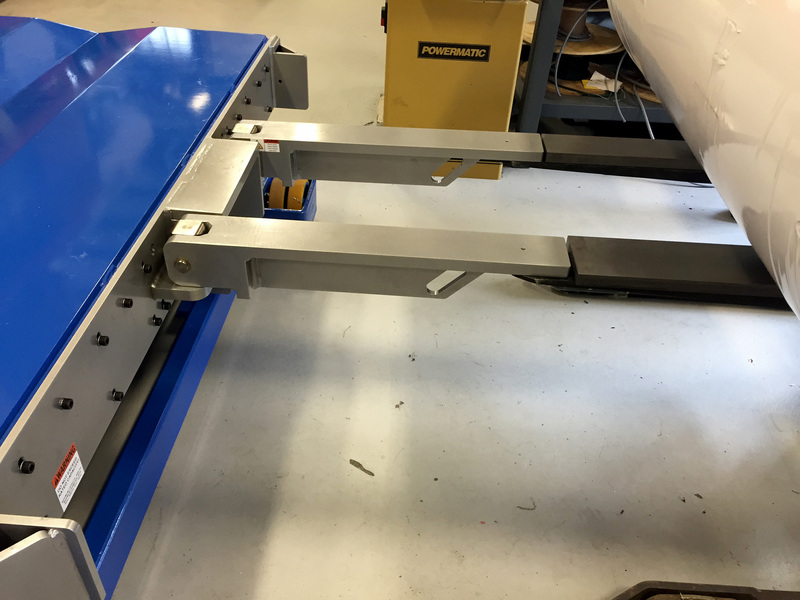 The smaller cart was able to fit on their transport elevator reducing the double handling of the product. 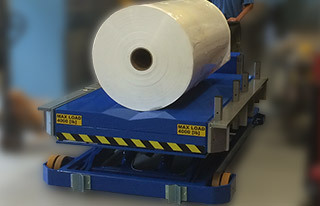 This paper roll handling equipment saved the customer time and reduced a safety risk at the paper mill. 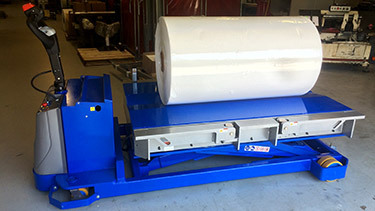 Ergonomic Partners is a solutions provider for paper roll handling; serving clients from coast to coast, Canada, Mexico and especially focused in the states of Missouri, Illinois, Indiana, Kansas, Arkansas, Mississippi, Nebraska, Tennessee, Kentucky, Iowa, and Oklahoma. Contact us today.